Yep, it’s about time I offer y’all another coffee coloring page to color (Here’s the first in case you missed it)… so here you go! 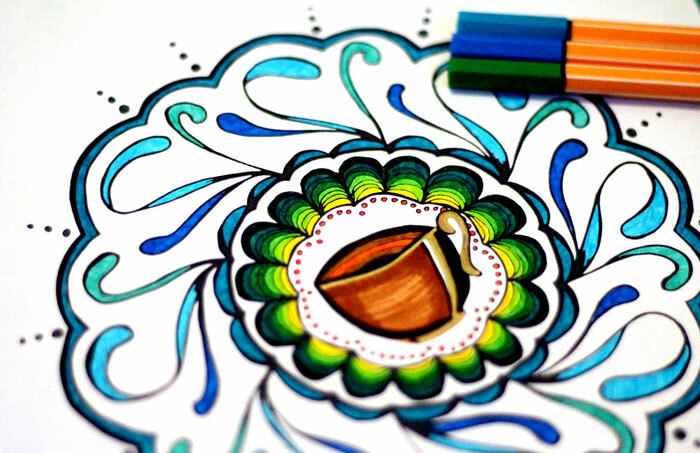 Coffee and Tea mandala coloring pages for adults – because some of you did complain that you’re tea drinkers and would love a tea page. 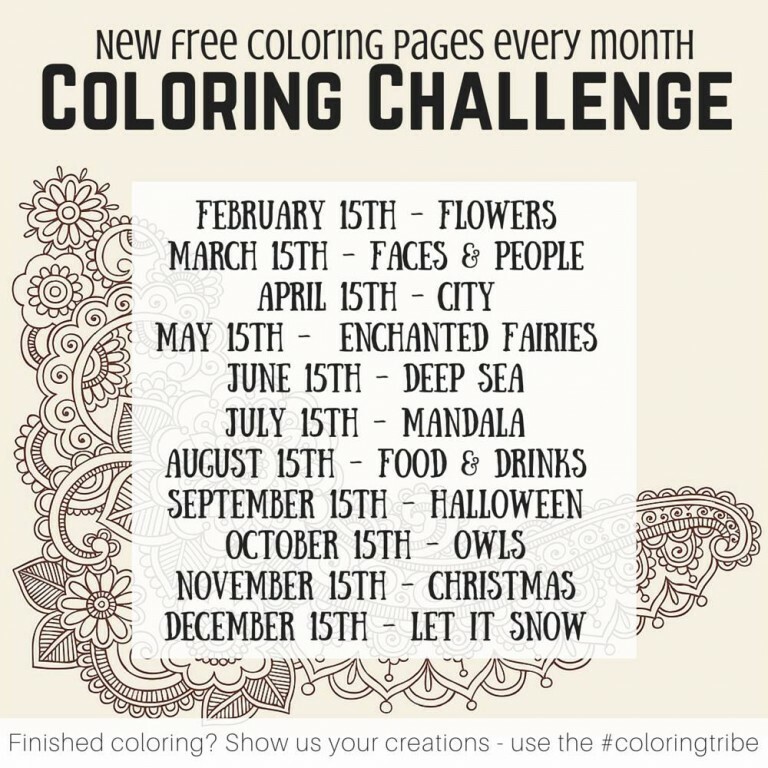 These mandala coloring pages come as part of the monthly coloring page challenge from my favorite group of artists – the Coloring Tribe! You can join in to the colorist group here to share your group and chat about anything adult coloring related. You’ll also find links for the other four pages that are part of this challenge at the end of this post. This month we all did mandala coloring pages, so I was able to play with the exact theme. This is actually not my first coffee mandala – I did offer you some time ago another one as part of a cheap add-on package. 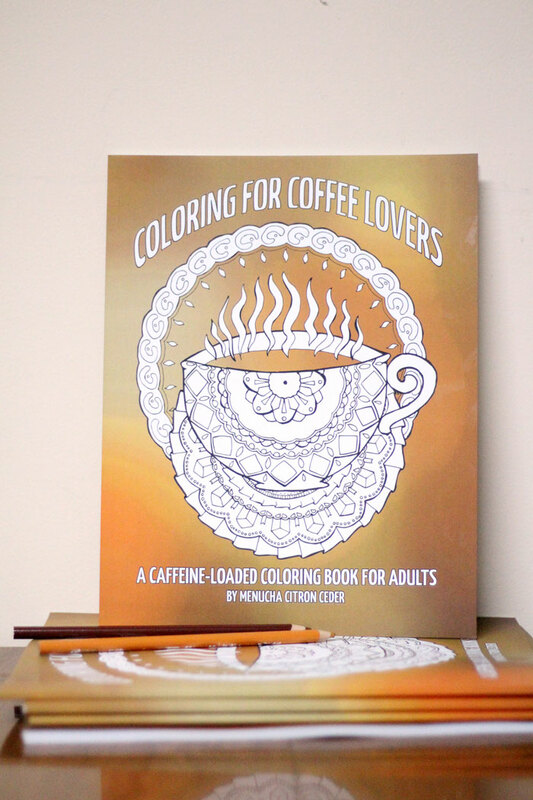 That’s still available in my shop or on Etsy, along with four more coffee themed coloring pages. Because we all need a good coffee fix occasionally – well, a double dose. 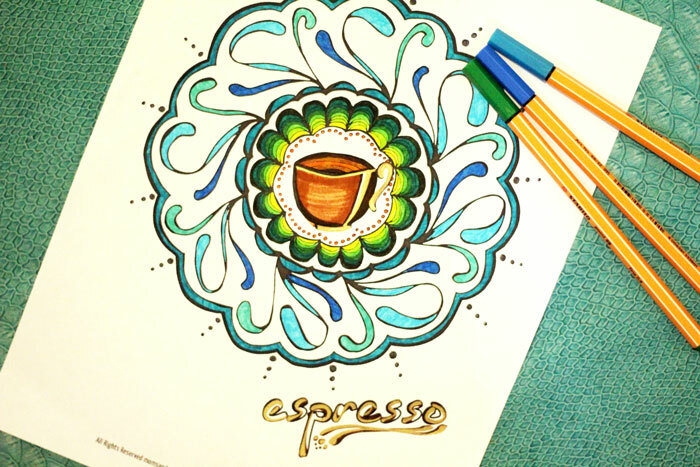 So grab a cup of coffee and color away! In case you missed it, here’s where you can download these free pages. Most of the mandala is quite straightforward. I used Stabilo 88 markers which are appropriate for small spaces like this has. I started with gray, and continued to blues, slowly graduating to greens and warming up to the yellows, oranges and warm browns in the coffee center. My favorite feature: I used a gold paint marker for much of the highlights (the rest are just white space) on the cup and the text. It’s really fun to color with paint marker, especially when adding your own detail. I’m still debating if to leave so much white background, or to color it in with eye shadow or chalk pastels. My next step, as I set up my new home, is to set up a little breakfast nook with a coffee maker. I want to frame these, and possibly the other coffee pages, and create a gallery wall. 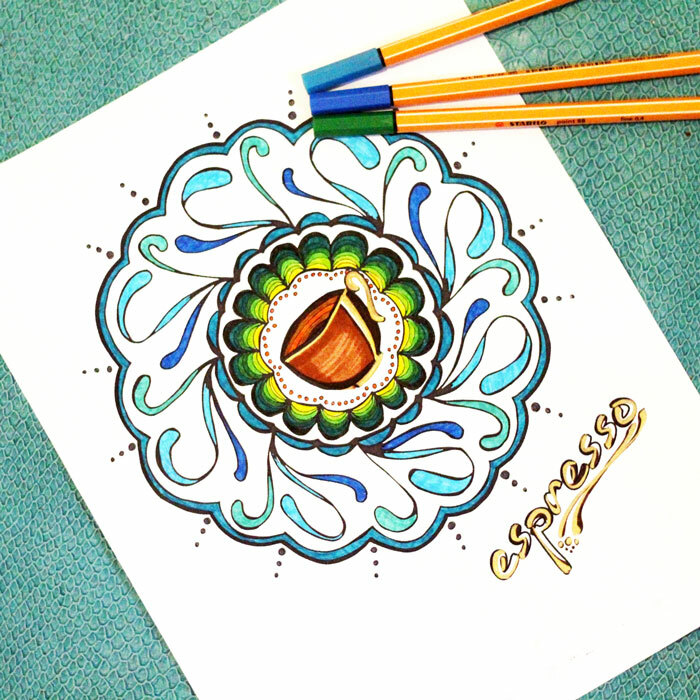 I’d love to see how you color these mandala coloring pages! Make sure you stop by the coloring tribe or my Facebook page and post your pic! And if you’re more of a tea person, check out the new tea coloring page packet below! Adult coloring pages, Crafts for moms, Free Printables, Grown-ups, Tweens/Teens. Bookmark. Prevent Forgetting Babies in the car with this genius hack! I can’t download any of your Free PRiNTaBLeS!!! Why?? Hi Audrey! Please let me know what happens when you try. IT seems to be working okay for others as I see in my backend that many people have downloaded. If you tell me where it stops working, maybe I can help you troubleshoot. My favorite tools are dual tip markers by Copic, Prismacolor and Spectra. I think they’re all alcohol based (not sure about Copics). They all seem to have great pigmentation and are fun to play with color blending. Water-based markers negatively affect paper surfaces when I use them and aren’t as forgiving as alcohol-based markers. Probably bad technique on my part. Hi Donna, thanks for your tips! I believe the copics are alcohol based. I find that the water based markers are wetter, so when you try to blend them it soaks and ripples the paper. I don’t think it’s necessarily bad technique.